After first having released exclusively via a special drop on the NTWRK app during the latest episode of Complex’s Sneaker Shopping, Odell Beckham Jr.’s take on the Air Force 1 Low Utility is gearing up for an official retail drop. Meant to resemble OBJ‘s illustrious rise to the top, the head-turning iteration calls upon a reptilian textile on its grey-ridden upper with two, black utility-geared straps aiding in its aesthetic an lockdown. OBJ branding takes shape on its aforementioned straps as well as its AF1 tongue tag, while two of the superstar receiver’s quotes make their presence felt on its custom insoles. 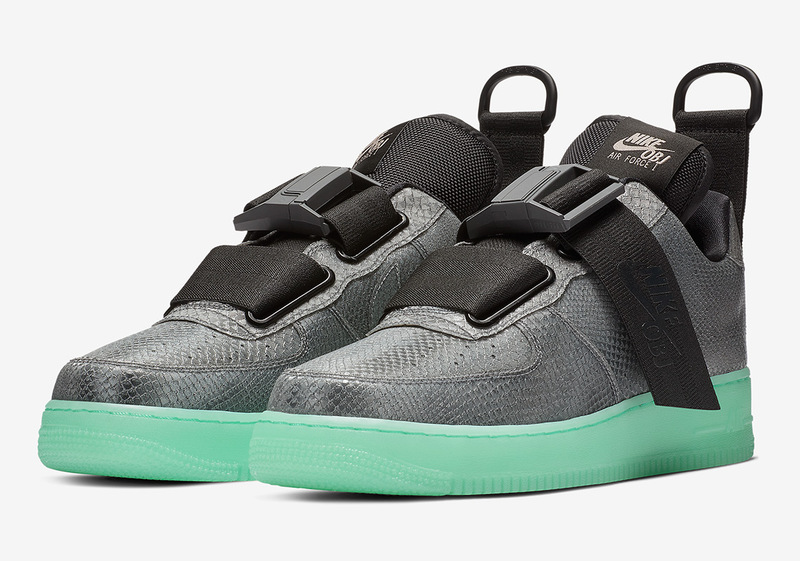 Finishing details include a D-ring hook on its heel loop and a glowing, mint-colored sole unit, adding a touch of color to the otherwise neutrally-toned AF1. Grab an official look at the OBJ x Air Force 1 Utility below and expect its arrival on Nike SNKRS tomorrow, November 20th. Nike Air Force 1 Low UtilityOdell Beckham Jr.